This entry was posted in Wild Horses in USA on September 29, 2010 by Elke. Federal agencies and a helicopter contractor last week conducted an unannounced wild horse gather of nearly 400 mustangs at the Sheldon National Wildlife Refuge 200 miles north of Reno, a operation that led to legal action by wild horse advocates. On Friday, advocates who documented the Sheldon mustang gather filed affidavits to their ongoing federal court action in Reno, which requests a restraining order against federal roundups. The advocates allege that their observer at Sheldon last week was harassed by the contractor and federal employees and that the observer discovered a grave site strewn with the bones of horses killed during previous roundups. This entry was posted in Wild Horses in USA on September 28, 2010 by Elke. The wild horses of the Silver King Herd Management Area south of Ely, Nevada are about to know their last day of freedom. When the day dawns on Saturday, September 25th, almost 600 stallions, mares, and unweaned foals will flee their homes with fear and terror as a belligerent helicopter whirls down upon them with one goal in mind: capture. Using its own brand of twitsted logic, the BLM has determined that 600 wild horses are about 546 too many for the 606,000-acre basin in Nevada’s Lincoln County. In the 21-year period between 1985 and 2006, the agency removed 792 horses from the Silver King HMA. Why the BLM has now decided to decimate the wild herds in this area by removing so many horses at once is a question that defies a rational answer. The Silver King legal action is supported by Grass Roots Horse, a nonprofit equine welfare charity with a focus on citizen action. This entry was posted in Wild Horses in USA on September 24, 2010 by Elke. Australia: Victory! 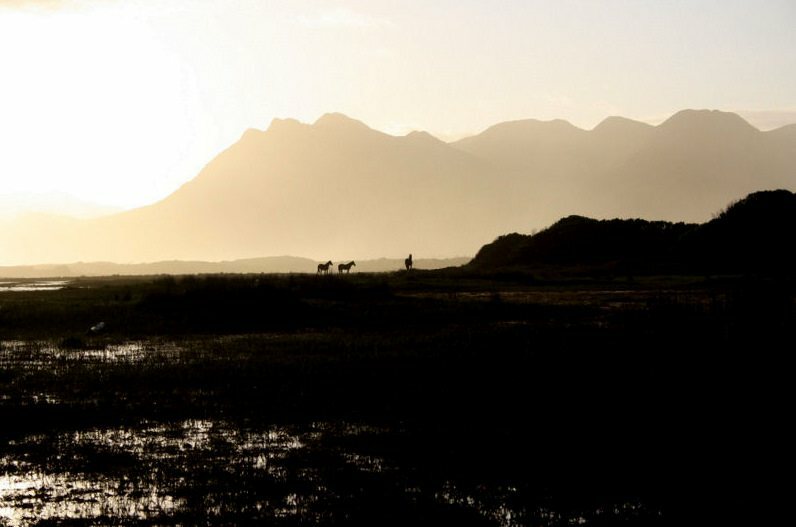 Wild Horses of the Kimberley Saved! We are thrilled to report that following a massive public outcry, the West Australian Government has called off the planned aerial killing of wild horses at Lake Gregory in the Kimberleys. If you were one of the 8,146 caring people who joined our recent online campaign to stop the cruel slaughter of these magnificent animals, then thank you! This entry was posted in Wild Horses in Australia on September 23, 2010 by Elke. This entry was posted in Wild Horses in USA on September 23, 2010 by Elke. We are SO excited to FINALLY announce the best news we have had to share with you in over 2 1/2 years! OUR MUSTANGS ARE GETTING THEIR SANCTUARY AND HAVE THE BLM’S SUPPORT!!! 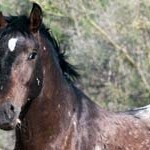 This entry was posted in Wild Horses in USA on September 18, 2010 by Elke. Where Have All Your Wild Horses Gone? 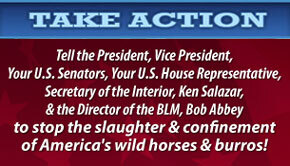 Wild horses are federally protected and cannot be sold in slaughter auctions. Feral domestic horses are not covered by the same laws. The two groups can look identical. Animal advocates and Congress want the Bureau of Land Management to explain the criteria they use to determine which horse gets to live and which horse will die. This entry was posted in Wild Horses in USA on September 17, 2010 by Elke. LET THE WORLD UNITE FOR THE SAVING OF OUR HERITAGE HORSES. 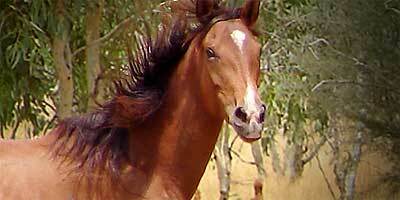 This entry was posted in Wild Horses in Australia on September 15, 2010 by Elke. 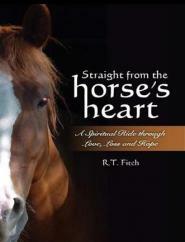 This entry was posted in Wild Horses in USA on September 9, 2010 by Elke. This entry was posted in Wild Horses in Africa on September 8, 2010 by Elke. Hello Friends of the Wild Horses! Here you can find news and stories from Wild Horses and Wild Horse Organisations – worldwide! This entry was posted in General on September 4, 2010 by Elke. It was a very long day, I almost drove the whole day to Ehrenberg and was very excited hoping to see wild horses! 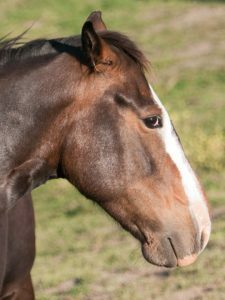 This entry was posted in Wild Horses in USA on September 1, 2010 by Elke.